This custom built waterfront home boasts fantastic views of canals, harbor, SUNRISES and SUNSETS, with a super friendly floor plan and constructed with 2 x 6's on the outside walls. Huge, convenient kitchen would make any chef proud, featuring solid surface counter tops with under-mount sinks, gas range, top of the line appliances, beautiful cabinetry, pantry, breakfast nook and more! Large private office and living room with lots of windows. 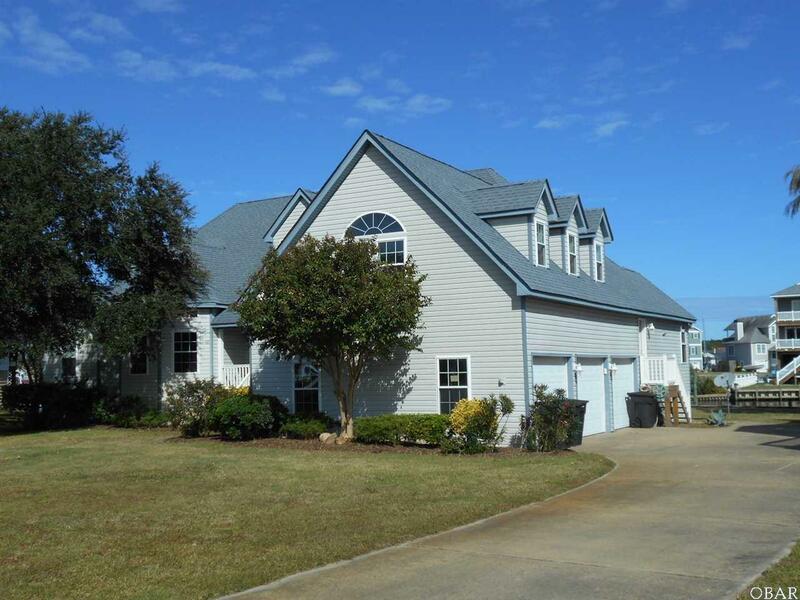 All four bedrooms have water views. Master bedroom is on the main level with his and her walk-in closets, and a spacious master bathroom with a large walk-in tile shower. All of this sitting on an extra large lot (double) with over 150' of water-frontage over looking the mouth of Frigate Canal and the Colington Harbor. Albemarle Sound access is super close, as well as the gate when driving to and from. Convenient, spacious boat dock and working boat lift already in place. Plus a Central vac system, gas fireplace, zoned HVAC, 3 car garage with plenty of work space (shop), and the finished room above garage is massive. So much storage and closet space throughout - you won't use it all! Deck facing the canal is perfect for relaxing, sunbathing or for grilling out. It's a little slice of paradise on the water. Don't let this one get by! Listing courtesy of Rich Pearson of Century 21 Nachman Realty.